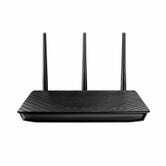 Why: This is the only router I've ever owned that can actually penetrate the signal-killing walls of my bedroom. I think it's so powerful that its range actually violates FCC standards and there was a lawsuit about it. This thing isn't cheap. It costs almost $180, but it's worth it. 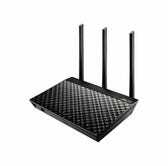 On top of having the best transmission power I've ever seen on a router, it delivers the speeds it promises. It's also unnecessary to hack because it provides such a stellar feature set that you really wouldn't need custom firmware to do anything. It has every feature I want and tons I don't need. I could go on for a long time about all the great stuff you can do with this router, but you can just read the product page for that. It's amazing. 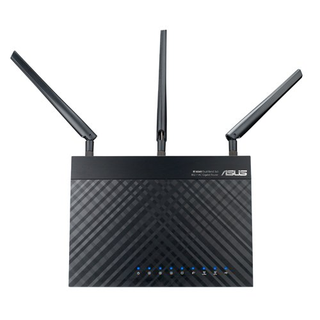 If you don't want 802.11ac because you don't need it or want to save some cash, the ASUS RT-N66U is its just-as-good 802.11n predecessor.